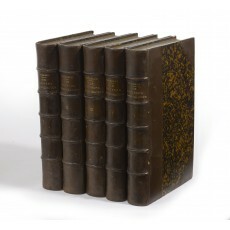 Five volumes (24 cm), I (1872): xiv, (2) 448 pp. II (1872): (6) 424 (2) pp. III (1872): (6), 393 (1) pp. IV (1874): (6) 370 pp. V (1878): (8) 412 pp. Uniformly bound in contemporary dark brown half-morocco, top edges gilt. 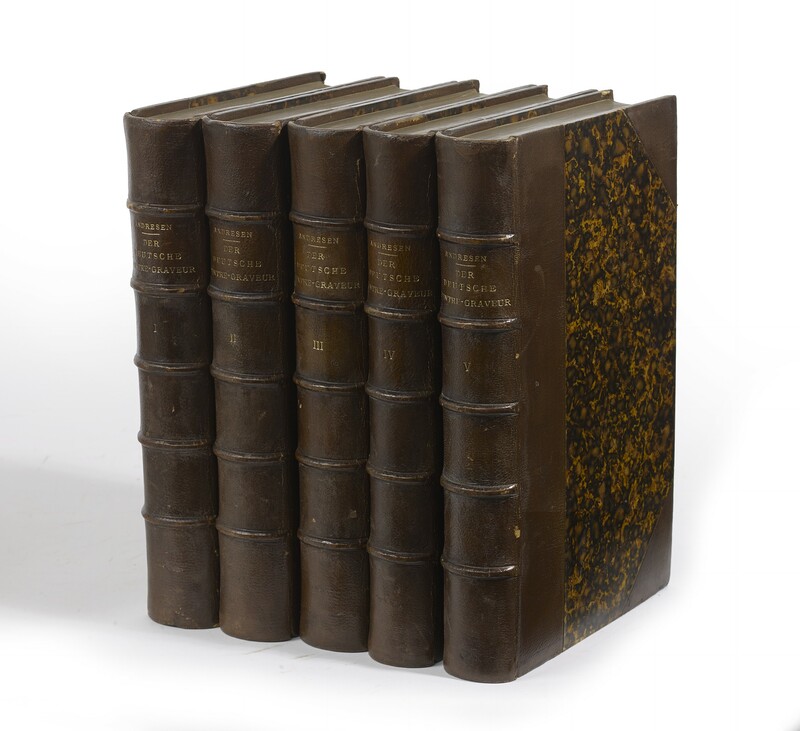 - In this set, volumes I-III are reprints of the original editions (1864-1866), newly edited by R. Weigel; volumes IV-V are in original editions. ¶ Provenance: E.P. Goldschmidt (1887-1954); sale by Christie's, The stock and reference library of E.P. Goldschmidt and Co. Ltd, London, 8-9 July 1993, lot 292. Very good copy.